Our wide selection of beer, wine, sake, & mixed drinks & our award-winning atmosphere are all you need for a low-key, elegant lounge experience you'll be eager to repeat. 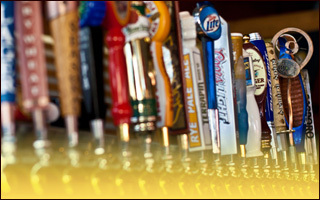 The bar is stocked with the top shelf liquor & offers 25 unique tap beers. We offer seating in the bar area where you can enjoy sushi & hibachi or just relax & have our bartender serve your favorite cocktail. Our tasty creations are sure to please. At Nakama, we take pride in the detailed creation & presentation of all of our cuisine, & our cocktails are no exception.